Our day started out leaving our camsite at the Grand Csnyon just before 8:00 am as Camping Services opens the building with showers and washing machines at that time. 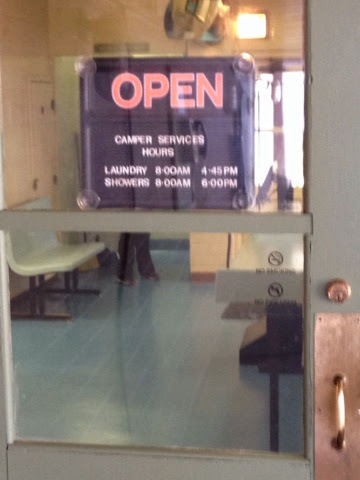 We arrived at exactly at 8 and we were the second two in for showers to find both the men's and woman's showers closed, and the woman that runs it on the phone with someone discussing the problem of no hot water. She eventually came out and said you can take cold showers but you still have to pay $2.00 for 8 minutes. Then the woman who was just before us came out of the shower area with wet hair shivering saying "Boy that's cold." Brianna and I didn't want any of that. I could only imagine that woman was looking for someplace to warm up. When asked the woman that runs the place said not to expect hot water before noon. 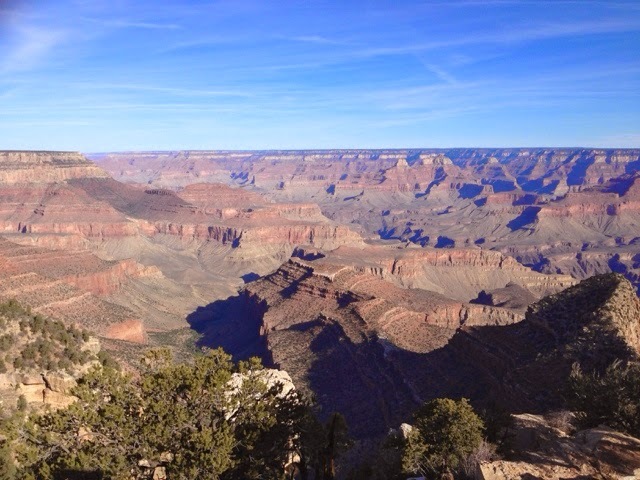 We opted to skip showers and stay on schedule to get to Flagstaff by 11:00 am via the east entrance of the Grand Canyon. 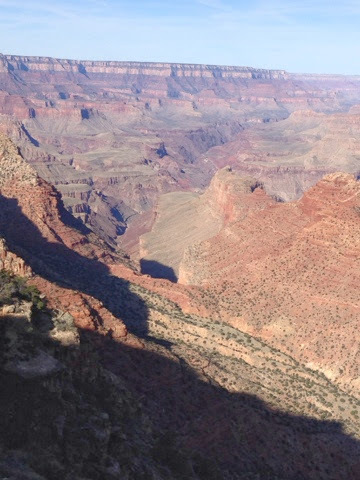 We left and took a few more morning sun pictures of the canyon on the way out. 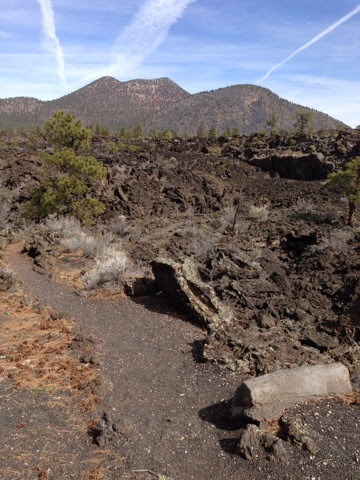 We eventually left the park and headed south to Flagstaff. 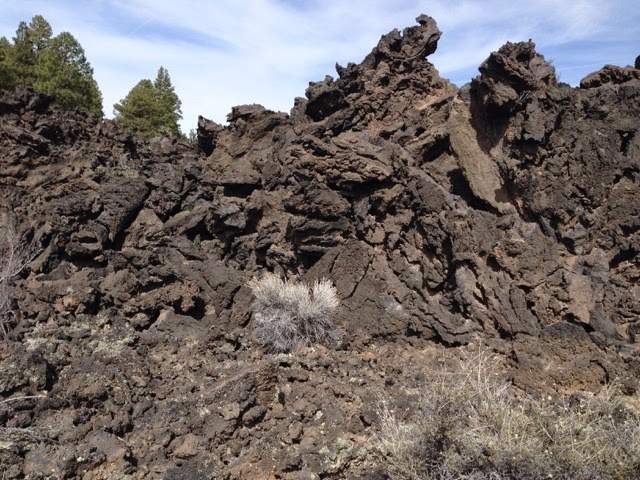 Along the way there is a National attraction that I have been to before, with a very interesting warn down volcano and rugged lava flow. 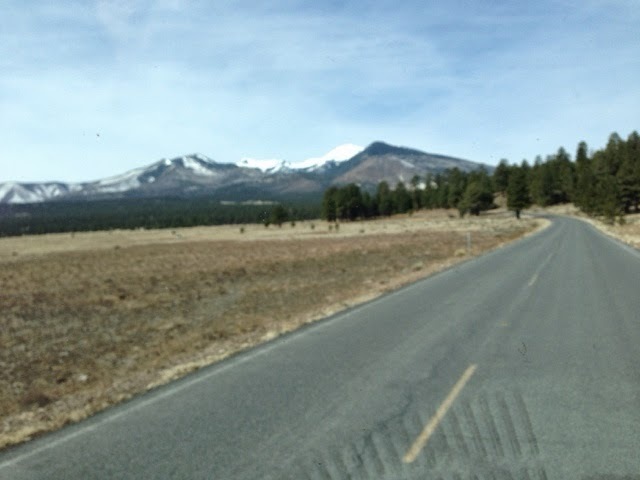 This mountain just north of Flagstaff that has snow on it can be seen for miles heading east from Kingman, AZ and from the Grand Canyon. 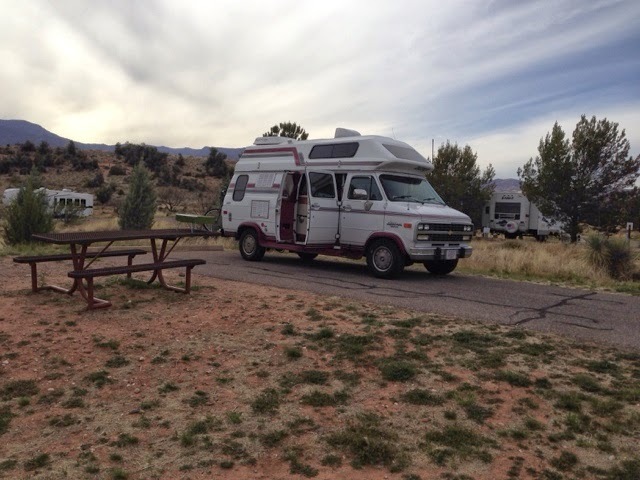 We stopped at McDonalds for drinks in Flagstaff and some syncing and downloads and then a stop for gas before heading south to Sedona. Along the way we stopped and looked at some Indians selling handmade items and had picnic lunch. 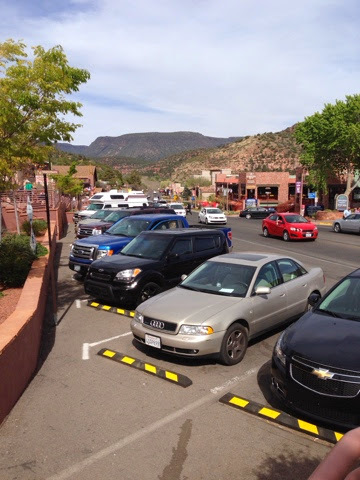 We arrived in Sedona for a very busy afternoon with lots of traffic and shoppers downtown. I tried a few parking lots off Main Street and there were no spaces, never mind one long enough for my extended vehicle. I was about to let Brianna out and I then look for parking remotely, and just then on Main Street someone backs out in front of me and I got the spot. Luck was in our favor. 20 miles south we arrived at our nights accommodations at Dead Horse State Park. We had stopped for groceries for dinner and I cooked Brianna a steak dinner. Tomorrow is Brianna's last day of her vacation and accompanying me on my travels. It's a long day for us as her flight is a red eye to Boston, leaving Phoenix at nearly midnight. 4 hrs and 40 minutes she will be back in Massachusetts and getting to go back to UMass and I will be on the last half of my trip. I haven't planned out my next couple of weeks before I head back to CA for son Clayton's welcome home. I would like to settle down for a bit after having been traveling so much.